ITV have confirmed that the sixth series of ‘The Cruise’ will air on a weekly basis from Thursday 3 January at 8:30pm. 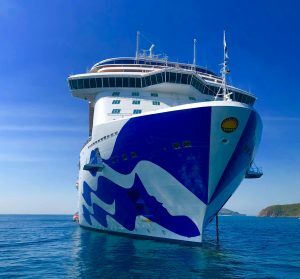 The six-part documentary was filmed on the 3,560-guest Majestic Princess cruise ship as she sailed to Asia, Australia and New Zealand. Throughout this latest series, according to ITV, viewers will be introduced to a number of new faces including Captain Dino Sagani, a fourth-generation captain who has worked for Princess Cruises for 25 years. He has served as captain on several Princess ships since first being appointed in 2007. Majestic Princess holds great personal importance to him as it was built in Monfalcone, Italy just a few miles north from his hometown of Trieste. ITV say some familiar faces will also take centre stage including Newcastle-born Hotel Services Engineer, Scott Grayson. 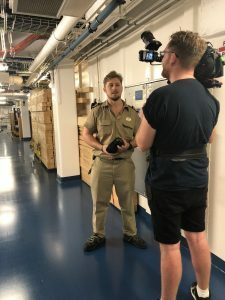 As well as being filmed helping maintain the 143,000-tonne ship, Scott is seen offering a glimpse into his preparations for heading home to begin a whole new adventure of his own – as a father to a new born baby girl. Providing the voiceover for the series is actor Anthony Head, who is internationally known for playing Rupert Giles in Buffy The Vampire Slayer and for his role as Geoffrey Howe in Oscar winning film, The Iron Lady. The Cruise is made by Wild Pictures, one of the UK’s leading factual documentary makers, who also produced the previous five series.